First published in 1983. Routledge is an imprint of Taylor & Francis, an informa company. 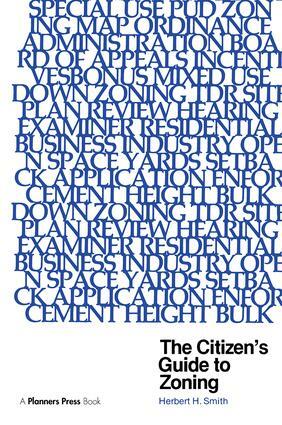 An easy-to-read book about zoning that cuts the jargon out but leaves the wisdom in. Smith explains the fundamental principles of zoning, how to develop zoning regulations, and the nuts and bolts of a zoning ordinance. He examines variances, zoning hearings, and frequent zoning problems.